When Ester Hana sings, her voice is deep, emotional and powerful, enhanced by her piano accompaniment. Her signature style is a slow but clear singing of the lyrics, especially in ballads, creating dramatic tension. With her interpretative talents, she has become a legend in Chicagoland’s music scene for the longest time. Who would have thought that the diminutive Cebuana would make it big in the Windy City of blues, jazz and gospel music? She presents a pleasant mixture of ethnic and popular music, singing in a number of languages, including French, Spanish, German and Japanese. And she stands out just by her last name. Her married name, Hanviriyapunt, is Thai, and a talent manager in the early part of her career in America suggested that it be shortened to Hana to make it exotic, as well as easy to remember. Her name caught my attention in the late 1970s when I walked on Rush Street, which was at the time Chicago’s center of bars and clubs. I saw a poster of her at the place where she was performing then. A friend who knew her family pointed out that she was Filipina. Many years later, another friend invited me to her birthday party at a restaurant where Hana was performing, and that was how I met her in person. Where in the world did she get her enormous talents? “It’s genetic,” she replies. “Many of my relatives are into music. There was always music in our house. Plus, music is in the air in my hometown.” She started playing the piano at the age of five. By age ten, she was entertaining guests at private parties with her growing repertoire of songs. At 17, while studying medical technology at San Carlos University in Cebu City, Hana joined her uncle’s ten-piece orchestra. Later, she formed her own three-piece group. Her career as a singer-pianist was launched at the piano bar of Manila Hilton. Always striving for excellence, she earned an undergraduate degree in music, majoring in piano, from Roosevelt University’s Musical College in Chicago. Hana owes everything to her hometown, Dalaguete, Cebu. “I cannot thank my town mates enough,” she says. 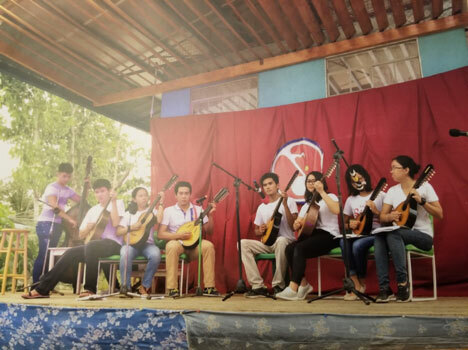 “They gave me so many opportunities to succeed in life.” To express her gratitude, she established the Dalaguete Music Foundation, through which children learn to play musical instruments. Everybody is accommodated. In these days of texting and Facebook, music is a good way for children to have face-to-face interaction, as well as to think, solve a problem and learn to collaborate. “It’s always fulfilling to see children learn to play musical instruments,” she tells me. “I see smiles and observe confidence.” The program has been successful. Performances are periodically held, and graduates have returned to teach, thus expanding the program. 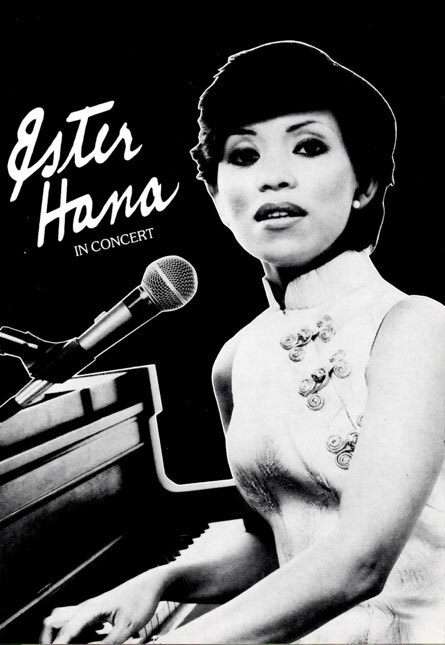 Music has been Ester Hana’s love and career, if not her oxygen. Each of her performances is heavenly. Now, with the Dalaguete Musical Foundation, she is like a missionary, spreading the gospel of music to children, who will be tomorrow’s audience, composers, and performers. Ester Hana can be reached at eheclectic@mac.com. The author wishes to thank Almira Astudillo Gilles, Ph.D. for her assistance in the interview. Rey E. de la Cruz, Ed.D., Positively Filipino correspondent, writes from Chicagoland when he is not loving the arts and traveling in seven continents. He is the author of the children’s book, Ballesteros on My Mind: My Hometown in the Philippines, which also has Ilocano, Spanish, and Tagalog editions. His baby book and fourth-grade Tagalog diary are in the collection of The Newberry, an independent research library for the humanities in Chicago.